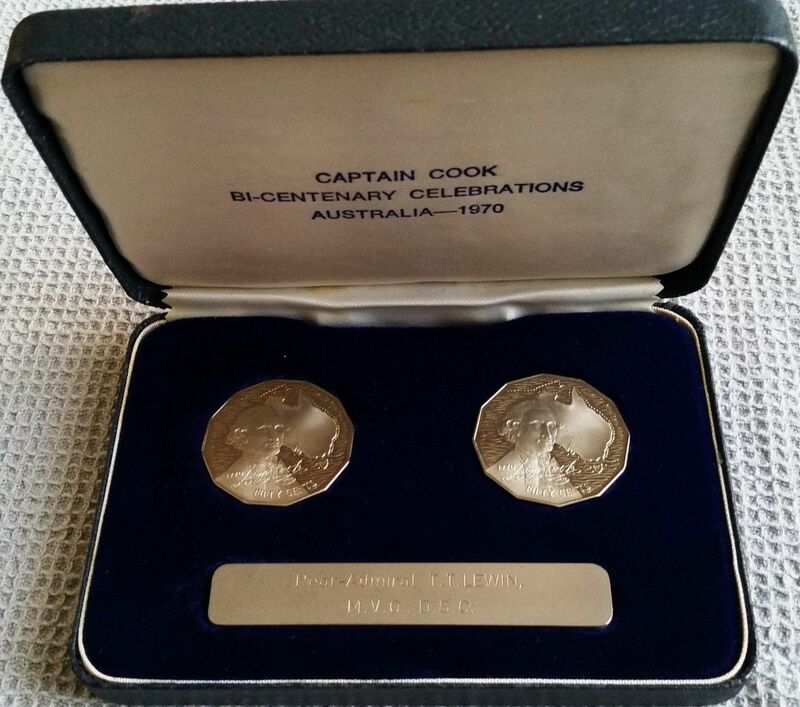 In 1970 Australia was excited about the very first decimal commemorative coin. 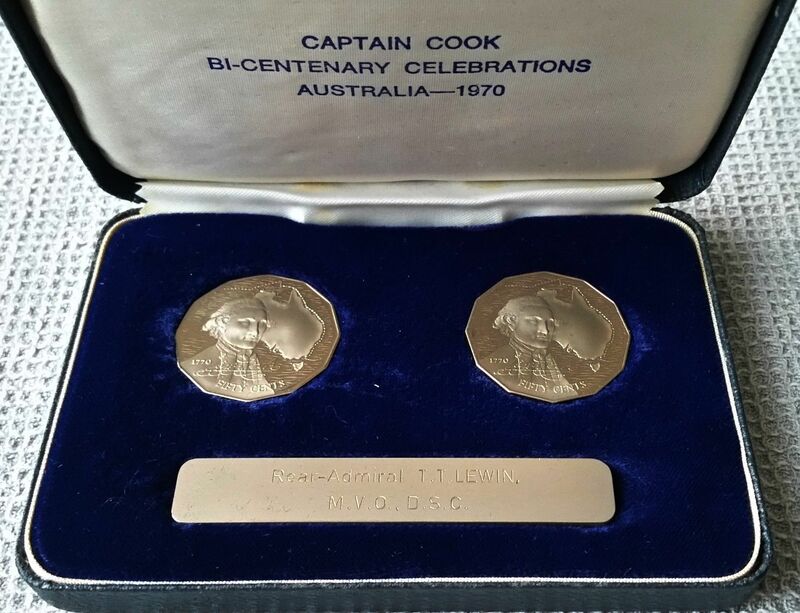 This circulating coin was a dodecagonal 50 cent piece with the image and signature of Captain Cook and a map of Australia designed by Stuart Devlin. This commemorated the bicentenary of Cook’s voyage that saw the first Europeans discover the east coast of Australia. Circulation coins were sent to banks and retailers, uncirculated coins were included in mint sets, proof coins in year sets and specimen coins were issued in red plastic cases. There was also a very special set given to VIPs that is rarely seen for sale. “Proof and Special coin” production statistics in the report confirm the Mint struck 140 pieces (2 coins in each set). With just 70 sets given to VIPs none appeared on the secondary market in the first 20 years after they were issued1. In fact just two sets have surfaced to date and it is easy to identify each set because of the engraved name plaque. 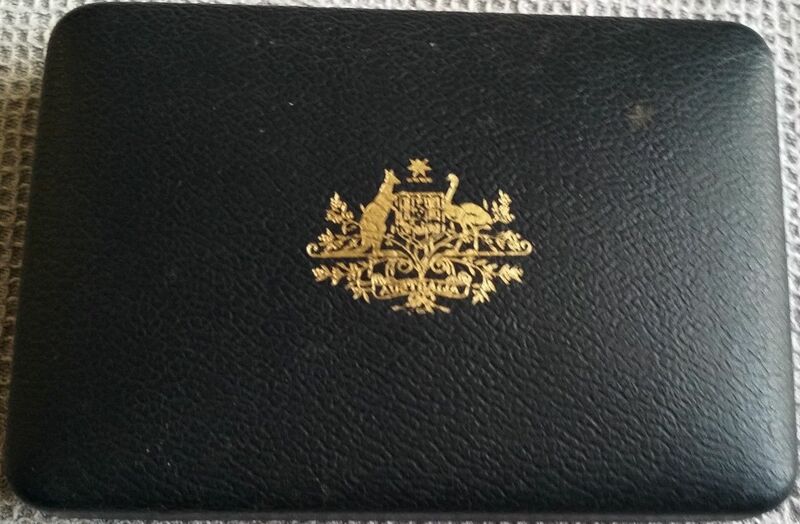 It’s interesting to postulate a set was perhaps given to the Queen or a member of the Royal family who visited Australia in 1970. The first set surfaced at a Noble Numismatics auction (sale 84 lot 125) in March 2007 and sold for $1,000 (plus commission). The name plaque was engraved to The Hon E.A. Willis, M.L.A. Sir Eric Archibald Willis (1922-1999) was the government Minister for Labour and Industry and Chief Secretary and Minister for Tourism in 1970 when he was issued the set. 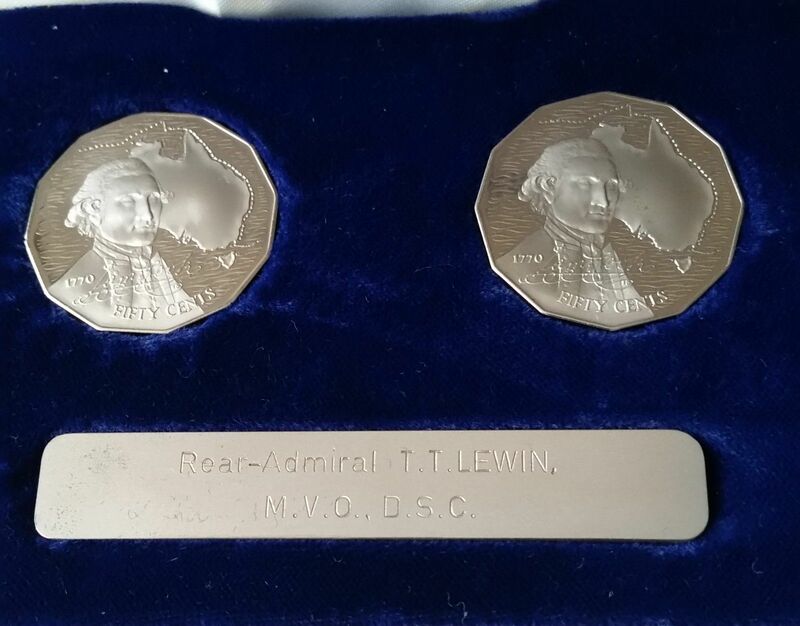 More recently (but still 10 years later) another set surfaced engraved to Rear-Admiral T.T. Lewin, M.V.O., D.S.C (pictured). Terence Thornton Lewin (1920-1999) was a highly decorated member of the UK Navy serving in WWII and later became Chief of the armed forces. He was a big fan and historian of Captain Cook.